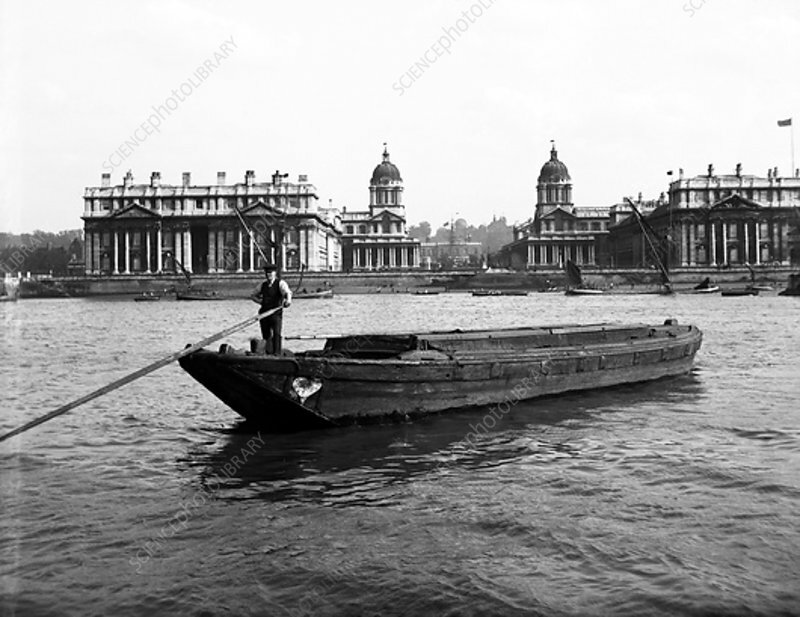 Wooden lighter and topsail barges on the Thames at Greenwich, London, c1905. The Royal Naval College is in the background. Originally built as a hospital for retired sailors, the building was designed by Sir Christopher Wren.